Detail: Primo Limo is a Raleigh, NC based Limousine service. They contacted us to change their existing one page website which was generating less than 10 visits per week from organic search traffic. We designed a website which included pages for all services and showcased their fleet of vehicles. We designed the site with basic search engine optimization principles in mind, and did basic page speed optimizations. Less than 14 days since launch and Primo Limo is already beginning to rank on the 1st page for some desired keywords! Detail: This is a full-service client for Diffuse Digital Marketing. 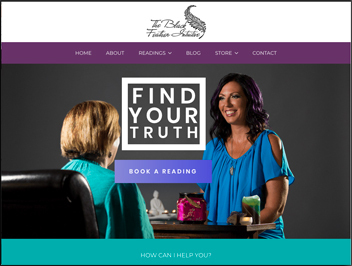 We began work with The Black Feather Intuitive on social media & e-mail marketing in 2016, started a re-brand campaign and did a complete re-design of her website in late 2017, and began doing SEO & content marketing for her in 2018. Since the website’s relaunch, traffic is up over 300% and more importantly revenue is up over 550%. 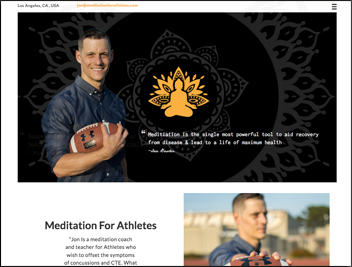 Detail: Meditation For Athletes is a new niche site dedicated to helping athletes prevent & heal from brain injuries using meditation. Diffuse Digital made a simple website using WordPress & trained the owner on the system to ensure he would be able to do blog posts to gain traffic and modify any pages as he grows the site. 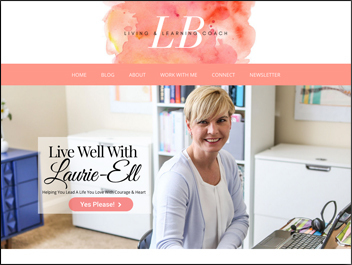 Detail: Live Well with Laurie-Ell is an example of a site/blog re-design that we moved from Wix to WordPress. All exisiting blog content was imported, and we trained the owner on how to write in WordPress. We also taught her basic on-page SEO techniques to help her grow her web traffic organically, so the blogs were written for a purpose! Detail: This is a website that Diffuse Digital Marketing took over mid-design from a company who was not delivering as promised. We finished customizing the site as well as developed & optimized landing pages for each service offered. 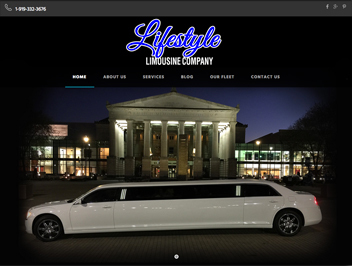 In less than 6 months, Lifestyle Limousine has moved into 1st or 2nd position on Google for OVER 80% of their keyword choices. 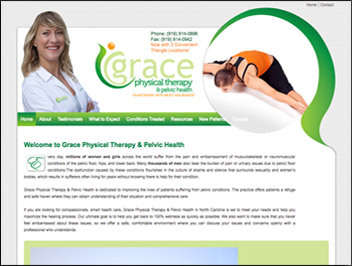 Detail: Grace Physical Therapy is a company Diffuse Digital does the graphic design & brochures for. 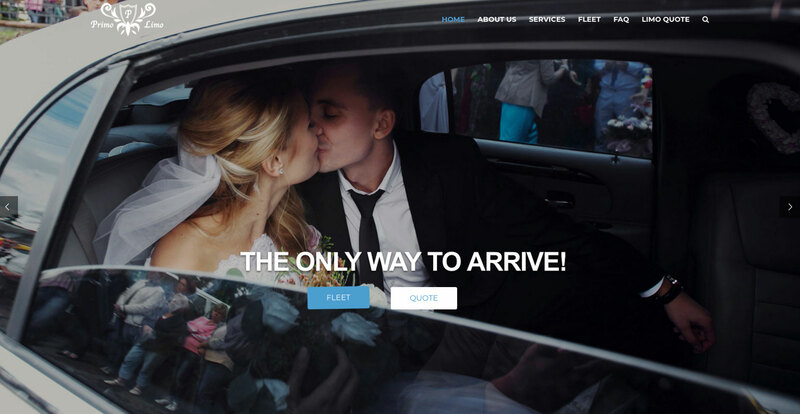 The website was not designed by Diffuse Digital Marketing, this is a website that we strictly do maintenance on and have added some service pages too. We are currently working with the company to develop a content marketing & SEO strategy to launch in late 2018. 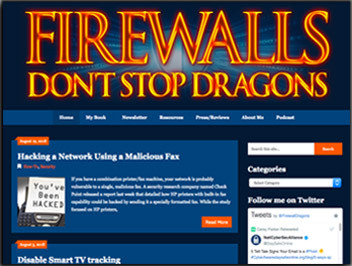 Detail: Firewalls Don’t Stop Dragons is a blog based on a book & popular tech podcast written by Carey Parker. The blog was originally hosted on WordPress as a sprawling one-page blog. We created a new design focused, on User-Experience, and helped create an e-mail marketing campaign and a lead capture for his most popular article. We also taught him basic on-page SEO to help his other blogs perform better on a more consistent basis in Google Search.